A band was born in 1989 under the title of Dolmen. Originally constituted by Equitant Ifernain and Shaftiel. 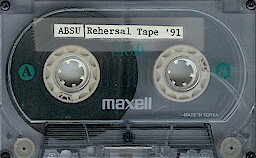 ABSU, which is recognized as the blackened Earth/nether world ocean, was formed with the release of their first demo entitled Return of the Ancients. 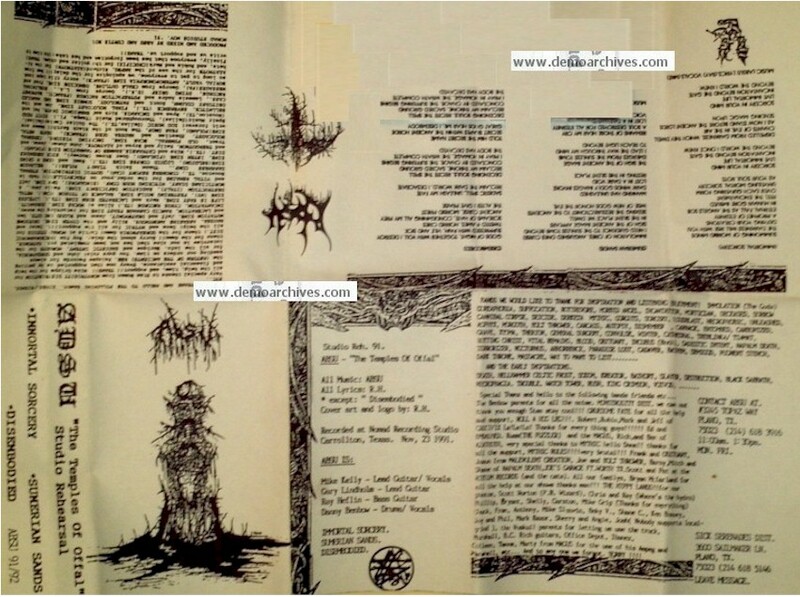 The tape fell into the hands of Gothic Records and granted them the rites in releasing The Temples of Offal EP in 1992. Equitant and Shaftiel were running into personal differences with various warriors that had previously been in the group, and realized a drastic alteration needed to take place. Enter Proscriptor McGovern, formerly of Magus, united with ABSU after the termination of the previous members. As a matter of fact, he served in several bands with Equitant and Shaftiel even before Dolmen had existed, so destiny had reached their goal. 5 panel Xeroxed covers. Recorded onto regular non studio tapes. Second of TWO different covers. Xerox covers. Combination of live tracks and studio recordings. Recorded on non studio tapes.